Selling a car has changed a lot in recent years. Not too long ago the only options you had were a private sale, selling to or trading in with a dealer or visiting the scrap yard. As with most things in modern day life the internet has drastically changed the process. Gone are the days when selling your car was, frankly, a bit of chore. Now, when you decide ‘I want to Sell My Car’ you just need to grab your phone, do a quick Google search and you can have several offers for your car within minutes. However, although it’s a simple process to get quotes, it can open up a whole new can of worms. How do you know which company to sell your car too? Who will give me the best deal? Why do some make me drop my car off? Will they knock me down on price? We want to make the whole process of selling your car as simple as possible. That’s why we’ve created this post ‘Sell My Car Online – The Ultimate Guide’ so you have all the information you need in one place. Sell My Car – Step 1 – What Documents Do You Need? We’ve already written a separate detailed guide covering which documents are needed when selling your car. To summarise you ideally need three bits of information, although only the first two are essential. Also commonly called the logbook, the V5 shows who a vehicle is registered to and their address. It also shows who is responsible for registering and taxing the car. The MOT certificate tells potential buyers that a car is safe to drive and road worthy. When you’ve decided to ‘sell my car’ the current, valid MOT certificate is essential. If you’ve lost your certificate, then you can purchase a new one from any MOT test centre for approximately £10. For more details on the process of replacing a lost or damaged MOT certificate visit the GOV.UK website. The service history is not essential, but not having it could make a big difference to the final price you achieve for your car. The service history tells buyers how the car has been treated and provides a reassurance that the mileage is accurate. Whatever method you choose for selling your car it’s worth giving it a little TLC. A clean, well looked after car will demonstrate to potential buyers that the vehicle has been cared for. Even professional car buyers will look more favourably on a clean and tidy car. Your spare keys will always be in the last place you look so find them before you start the sales process. The majority of new vehicles will come with two or even three sets as standard. 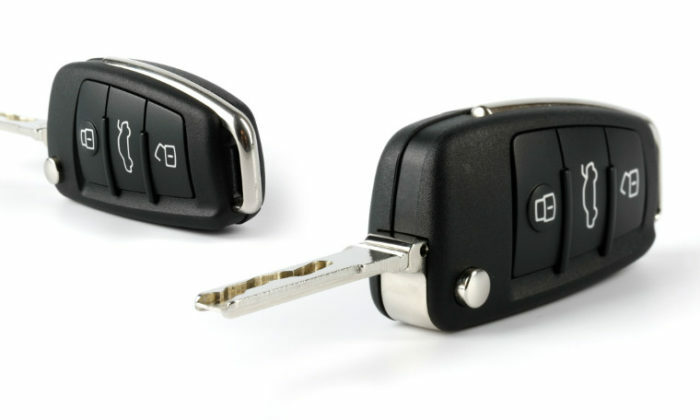 The lack of a spare key could lower the cars final value. It’s really easy to get your car cleaned these days. Pop into your nearest hand car wash or arrange for a mobile car valet service to come to your home. A mini-valet, which should leave inside and out looking spotless, should set you back between £30-£40. If there is anything obvious that needs fixing that is relatively low cost, then you should aim to have it looked at. Scratched alloys, damage to paintwork, broken bulbs and even low fluids can all affect the value of your car and are all very fixable. For the majority of people, your car will be one of the most expensive items that you’re likely to purchase. You spend a lot of time in it and can become attached to it, much as you do with a home. However, when it comes to selling your car the valuation of it can sometimes be a nasty surprise. When you decide to sell your car a good first step is to set realistic expectations of what you’re likely to receive. 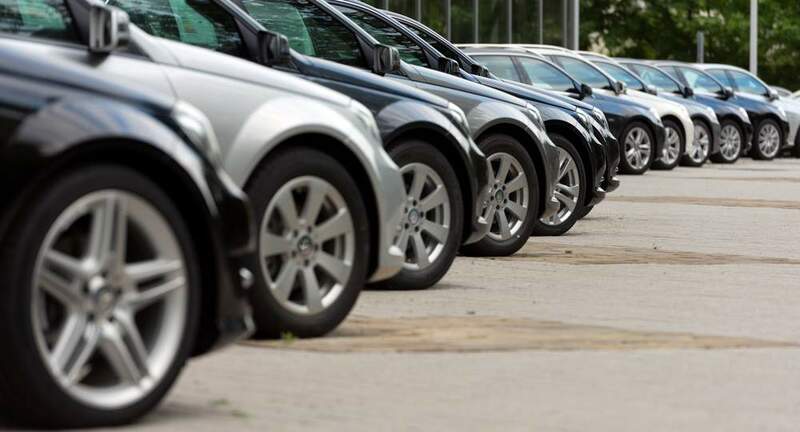 People looking to purchase your car, whether it be a private sale, dealer or online car buyer will take a dispassionate view of the vehicle when reaching a valuation. Try and put yourself in the buyer’s shoes, do some homework first and check how similar cars are valued at on sites such as Autotrader, Gumtree or eBay. When comparing try and match your cars Make, Model, Year and Mileage as closely as possible. You should also inspect your car looking for any defects. Scratches, chipped paintwork and stained upholstery are just some of the things that can reduce your cars final value. The paperwork you’ve saved is also very important, records of work carried out, MOT certificates and a full-service history can have up to a 20% influence of the price paid for a vehicle. You may think that all online car buyers are all the same. After all, you search online, enter your car registration, complete a few details about your car and then receive a valuation. While this is partly true, it’s important to understand how your vehicle is valued so you can be sure that the price you’re given is the price you’ll receive. The majority of the biggest companies offering online car buying in the UK provide an instant valuation of your vehicle. As the consumer, this can seem great. Within less than 2 minutes you’ve received an offer for your car, what could be simpler? The trouble with an instant valuation is that a lot of assumptions about your car are made, and you will typically be given a ‘Best Case Scenario’ valuation. It’s only when you’ve driven to the companies local facility that the true valuation takes place as your car is inspected by one of their team. You’ll then be given a new, lower, price based on the defects that have been spotted. 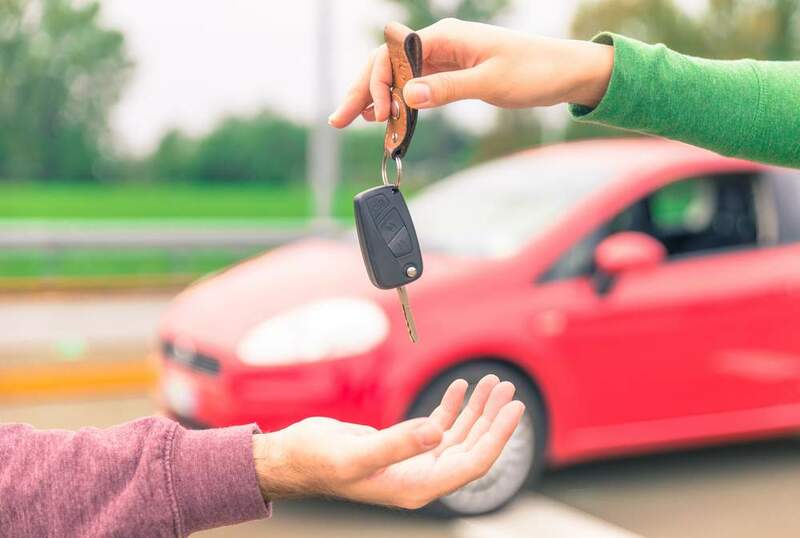 The alternative, and much less used approach to valuing your car, relies on a 5-10 minute phone call in which all the key details about your vehicles are confirmed. During these phone calls, you will be asked to provide details of any known defects the vehicle has along with all other details that are used to reach an accurate car valuation. The benefit of this approach to valuing a car is that providing you’ve given a true assessment of your vehicle then the price quoted is the price you receive. Before the internet, many people to used sell their cars using classified ads. This may have been in the local paper or through specialist car magazines such as Autotrader. Today, the ads have simply moved online to sites such as Gumtree and eBay. If you choose to follow this route, then be prepared to do much of the work yourself. The listing itself is relatively simple, and you can generally add lots of photos to promote your ad, so it’s worth getting photo happy with your smartphone. By using a classified site, you have the potential to market your car to a lot of potential buyers. The trouble is that lots of other people are also doing the same so your ad can feel a bit little lost being one of the thousands that are available. Assuming that most potential buyers will want to view your car before purchasing you’ll need to make time for viewings. On the plus side, you know your car inside out and can directly answer any questions that may arise. On the downside, you will inevitably get a few time wasters and tyre kickers who are looking for a bargain. One of the big issues with selling privately is the potential to be scammed increases. Make sure you only accept cash in hand or BACS payment. Only hand over the keys when you can physically see the money in your account or have checked the bank notes are real! Selling or part exchanging your car to a dealer is a popular route taken by many people. It’s a much simpler option than trying to sell your car privately but, you are selling to the trade who will want to re-sell the vehicle for a profit. The reality is that you’re not going to get the best price possible as doing so would remove the dealer’s margin. As we’ve already said before, doing your homework regarding the value of your car, is all important. Not only does it set your expectations of what you can realistically achieve, it also prevents you from being ripped off. Your upgrading your car and buying a lovely new VW Golf. This means that you’re looking to sell your old BMW. If you decide to part exchange your BMW to the VW dealer, then all they will do with your car is ‘flip it’ (i.e. sell it to another dealer straight away). VW dealers do not want old BMW’s parked on their forecourt, and so they will look to offload it as quickly as possible. The VW dealer will be looking to make a profit when they sell the car on. The dealer that purchases your old car will in turn also need to make a profit. Where does this profit come from?? Straight from the reduced price you sell to the dealer at. When you sell to a dealer, you want to pick one that will re-sell the car themselves. With this approach, you’re effectively only funding one lot of trade profit. Which means you should walk away with a better deal. Anyone buying a used item will always try and get a better deal by highlighting potential faults. If you buy a house, you might try and knock the vendor down because the property needs new windows, or the kitchen looks a bit shabby. It’s no different with cars. Trade buyers are well versed in spotting issues and talking down the price based on what they will cost to repair. 1. Identify any work required on the car you want to sell and have it fixed. Paying for it yourself will cost a lot less than the figure the dealer will suggest if they were to get it repaired. 2. Identify the work required and get a quote for fixing. This way if the dealer suggests that it’s going to cost £500 to replace a part, you can show them your quote for the sane work which will very likely be a lot less. There are lots of tricks that car dealers will employ to try and tie together your purchase of a new car and their purchase of your old car. Special discounts, lower APR and extra features are all used to entice people into accepting a poor deal on the car they want to part exchange. If you treat both your new car purchase and your old car sale as sperate deals you can negotiate each individually. This will allow you to focus on getting the best result for each vehicle. Rather than the dealer coming up with a convoluted package where only they win. If the car you want to sell is a little long in the tooth, then a trip to the scrapyard may be the best option. Prices will vary on what you can expect to receive but on average £200 is about right. If you have an older, more polluting car, especially a diesel, then there are lots of incentives for you to trade it in and get a new model. 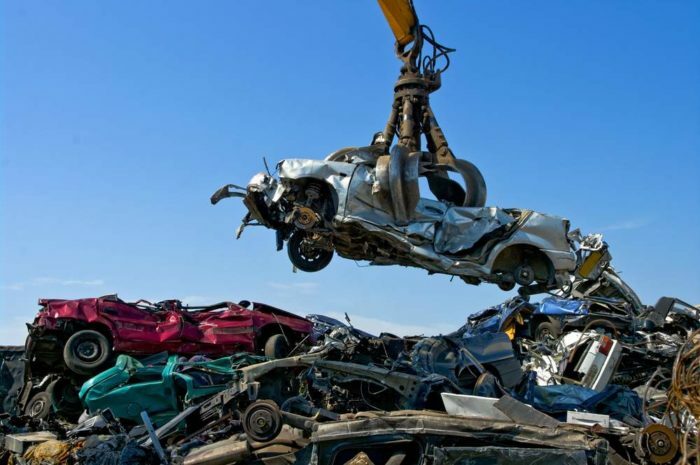 A large number of car manufacturers run scrappage schemes with some offering up to £8,000 savings off new models. There are lots of options when it comes to selling your car online. Which one you pick will be based on what your priorities are. If you have the time and want to get the very best price, then a private sale is still the best option. If you want a quick and simple sale, then the online car buyers can’t be beaten. Fancy a brand new set of wheels and have an old car that you want to trade in then a scrappage scheme may be your best choice. Whichever you pick always do your homework first. An understanding of what your car is worth is vital during any negotiation. A bit of TLC also goes a long way. Consider a car valet and fixing any obvious issues before the sale. If you’re considering selling your car and would like an accurate valuation, then Top Deals 4 Wheels will be happy to help. Simply enter your registration and a member of our team will be in touch.